If you want your child to have a shot at entering a higher tier of the socioeconomic echelon, you might not want to settle down in the South. It’s not so much about big or small cities as it is, well, segregation. 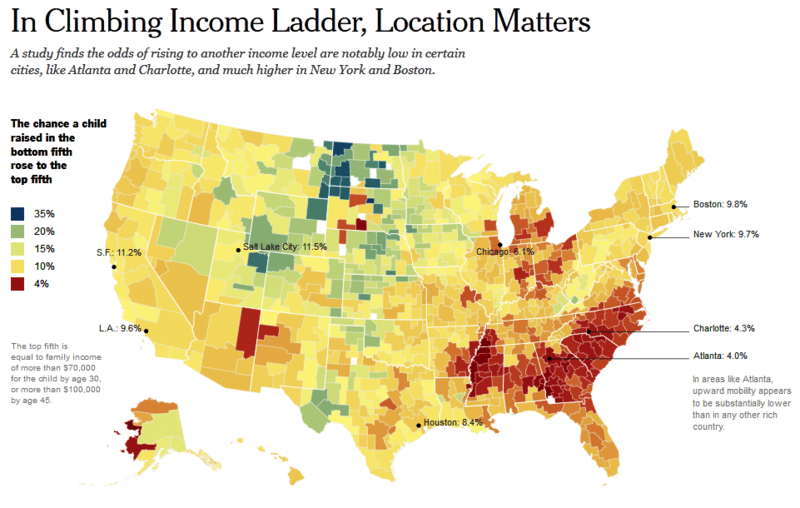 “We find that some of the highest mobility places in America are smaller towns rather than the biggest cities … What’s happening in those communities is they’re producing these very successful kids, even kids frmo low-income families. And they end up leaving those communities typically, moving to bigger cities and being very successful in the broader American economy.